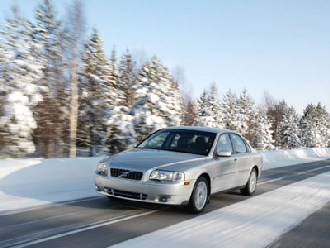 As many of you know, winter is upon us in the northern hemisphere, and that means increased chances of snow, colder weather, and more wear and tear on all parts of your car. How much wear and tear? Well consider this – most cars break down in winter as I have seen at the auto repair shop. The most common cause of these break downs and issues? Being unprepared for all the stuff a cold winter can dish out. Parts will wear out after being cold and going hot quickly – your engine will suffer through cold starts and fast cooling in extreme cases, your tires will wear faster one roads covered in salt, exposed metal will corrode faster because of the road salt, some windows will crack under the weight of ice and snow, some break pads will go stiff and be unresponsive, many cars will be stuck because of a lack of traction and yet more cars will simply refuse to start. You can avoid almost all of this by just being a little prepared and ready for the snow, the cold, the harsh and dry conditions of winter. One of the major complaints is also about how dirty a car can get in winter since you cannot really clean it effectively in a cold environment where everything freezes or the car washes are closed. You’ll find a simple step by using the car wash can really give you an edge when it comes to keeping your car stable throughout winter and keeping it from rusting – but you’ll need to keep reading to know. Another major complaint I see a lot in winter is that the heater in some older cars just will not cut it – so they hook up a space heater in their cab or do other things that are just as silly rather than address the underlying problem of either an older inefficient system – or poor insulation of the system. Furthermore a space heater will drain the battery faster and could be a hazard – it is recommended that before you go out and get a space heater at Wal-Mart with an adapter for the power plug-in that is also used for the cigarette lighter – you try to find one actually MADE FOR VEHICLES. Research it. It’s better to know.